Tropical Storm Norbert that has created very muggy conditions for several days may bring actual rain to parts of San Diego County Monday. And muggy it was on Monday afternoon. The thermometer reached 90 degrees in downtown San Diego, with 65-percent humidity. The mountains and deserts may see some flash flooding produced by thunderstorms Monday afternoon. 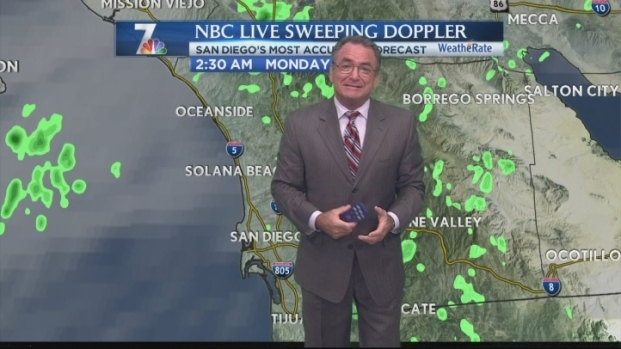 “There is a much smaller chance of any rain hitting west of the mountains,” says NBC 7’s Whitney Southwick. Norbert’s winds are sending air packed with water vapor toward the American Southwest. Expect the humidity to lift Wednesday or Thursday this week, Southwick said. A flash flood watch was issued by the National Weather Service for Riverside County through Monday at 5 p.m. The area included in the warning was Indio, La Quinta and Coachella. A flash flood watch also was issued for the San Diego county mountains until 8 p.m. Monday. As for the impact along San Diego’s coast, beachgoers can expect half the wave heights that were pushed ashore by Marie. Tropical Storm Norbert is not nearly as large or intense as Hurricane Marie, experts said. Here in San Diego, the effects of Hurricane Norbert are being felt from the coast to the mountains. 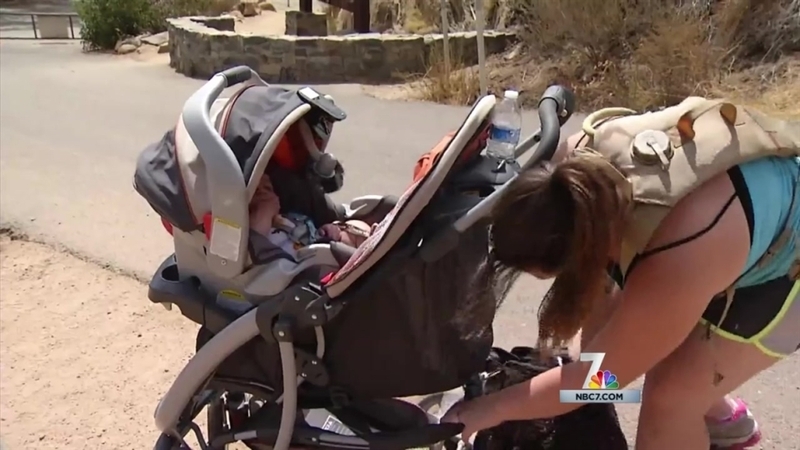 NBC 7's Steven Luke has the story.